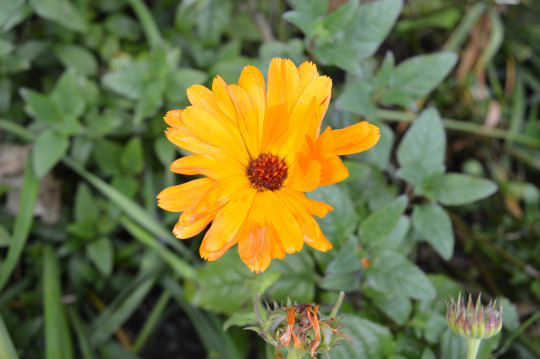 Bramley Baths Gardens: Add some 'merry gold' with marigold! | West Leeds Dispatch | News. Views. Get involved! Bramley Baths Gardens: Add some ‘merry gold’ with marigold! Add some merry gold to your salad with a marigold! writes Bramley resident Marie Millward. Today’s suggestion for a nibble from the @bramleybaths community garden is another floral treat: the petals of the pot marigold or Calendula. This flower comes in shades from pale yellow through egg yolk shades to bright and burnt orange and the flat faced flowers are shaped like a daisy. In Bramley Baths‘ garden they grow in the flowers beds and you are most likely to find them in the sunny beds next to the building. 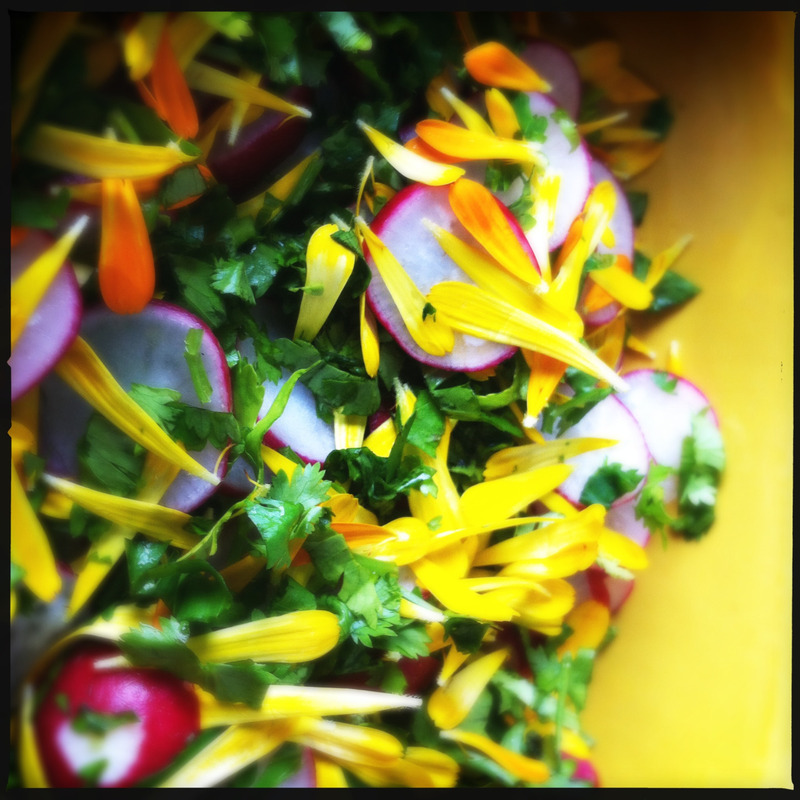 One flowerhead is enough to add a zing to your salad – pull off the petals and scatter them over. Check out Marie’s own blog, Dandelion Doodles, for more. Bramley Baths Gardens: It's chive talking!